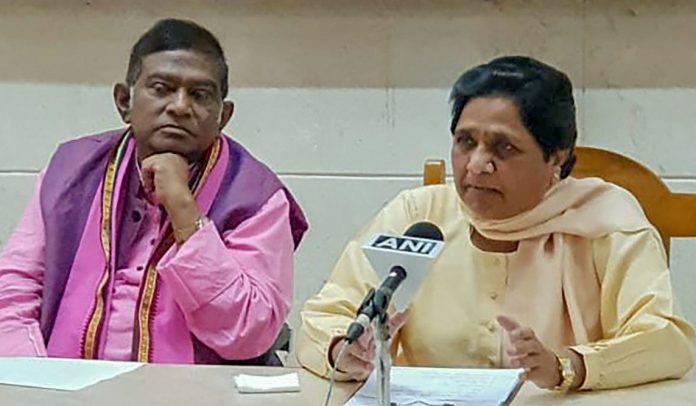 This alliance was expected to eat into Congress vote bank but as campaigning intensified, BJP was equally nervous about the impact of Jogi-Mayawati deal. New Delhi: The elections in Chhattisgarh which have always been a direct contest between the BJP and the Congress seem tantalisingly poised, with neither party being sure about the damage potential of the alliance between former chief minister Ajit Jogi’s Janata Congress Chhattisgarh (JCC) and Mayawati-led Bahujan Samaj Party (BSP). The state has always witnessed a close contest, which is reflected in the vote margin. For instance in 2003, the BJP had a vote share of 39.3 per cent while the Congress 36.7 per cent and the margin was 2.6 per cent. In 2008, BJP’s vote share stood at 40.33, while Congress secured 38.63 — the margin went down to 1.7 per cent. In 2013, BJP secured 41.04 per cent and Congress 40.29 per cent with the margin being 0.75 per cent. This alliance was expected to eat into the Congress’ vote bank but as campaigning intensified the BJP was equally nervous about the impact of Jogi-Mayawati pact. Exit polls might give an indication of how this X factor played out in the state. Chhattisgarh voted in two phases — on 12 and 20 November — and results will be announced on 11 December. It will be interesting to see whether Chief Minister Raman Singh, who is considered one of the most successful CMs of the BJP, will be able to hold his fort once again. The BJP is trying to retain power in the state for a fourth straight term. Even as BJP leaders claim the party will gain majority easily in the 90-member assembly, it won’t be easy to beat 15 years of anti-incumbency. The Congress party’s handicap was the absence of a face who it could project as an alternative to Singh. The elections are crucial for the Congress as it has been out of power for the past 15 years in the state. Agrarian crisis, development, corruption, road connectivity, power shortage and the Maoist problem were the key concerns that were picked up by the opposition to target the BJP government. The manifestos of both the Congress and the BJP put the spotlight on the farmers as they are a considered a huge vote bank. In Chhattisgarh, a high percentage of the population is engaged in agriculture and allied activities. Naxalism also dominated the assembly election campaigns as politicians repeatedly raised the issue in their speeches. For instance, Prime Minister Narendra Modi accused the Congress of backing “urban Naxals” at a rally held on 9 November in the state and the Congress quickly retorted by saying that the BJP was trying to hide its failure in combating Naxalism and bringing development to the state.